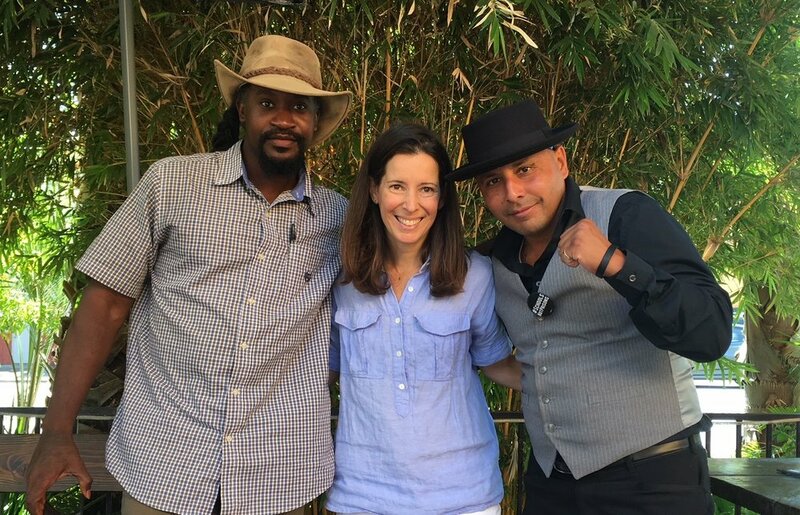 Defy NorCal’s Executive Director, Carrie Simon, had the opportunity to meet two recently released EITs in Sacramento last month – Carl and Henry have transformed their hustle like nobody’s business! Henry: Program Coordinator at self-help organization Self-Awareness and Recovery; advocating for criminal justice reform with the Anti-Recidivism Coalition; working towards a degree in Business Management at Sacramento City College. Carl: Dog behavior specialist at Wags (using the Pawsitive Change education he received in prison); working on his business, SoKul Body Wear; working towards a degree in Sociology and Business Development at Sacramento City College. 18 EITs have released from prison since May and they are in need of laptop computers to complete their resumes, search for jobs, continue Defy’s curriculum, and join our community in so many other ways. If you would like to donate a laptop, please contact Rebeccah Lanni, Post-Release Program Manager. This BCN for post-release EITs begins with exercises designed to help create an inclusive and accepting community. Afterward, volunteers provide post-release EITs with feedback on their resumes, personal statements, and business ideas in small group coaching sessions. Before the end of the evening, we reflect on what everyone learned and bring closure to the event. BPCs begin with exercises designed to help create an inclusive and accepting community. Afterward, volunteers serve as judges for the EITs’ Shark-Tank style pitch competition at the culmination of their journey with Defy. Following the competition, EITs don caps and gowns and their family members are invited to join the graduation ceremony. Volunteers have the special opportunity to bear witness and lend support to the graduates who have worked diligently to reach this milestone occasion.